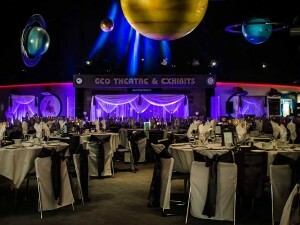 the GEO CENTRE is out of this world! Looking for a place to hold your next fundraiser? 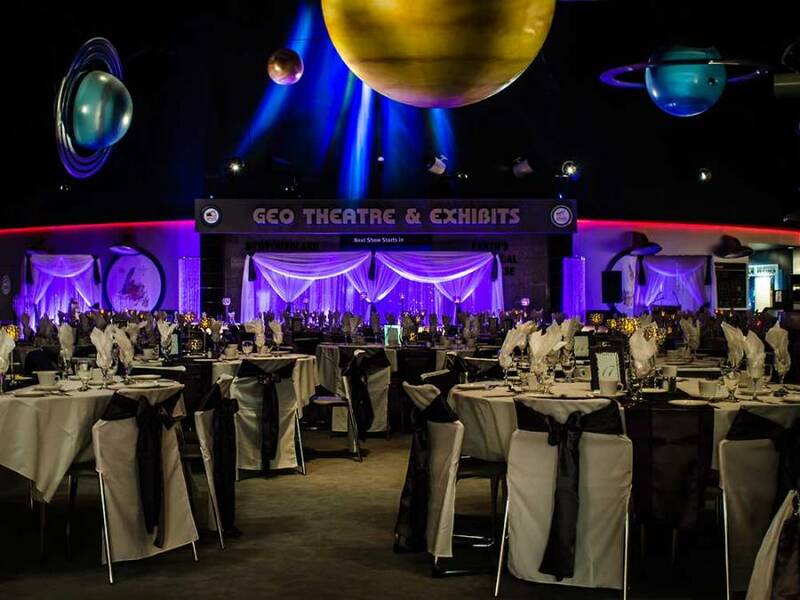 For an evening reception or dinner, the Johnson GEO CENTRE’s Reception Hall will provide you an event that is simply out of this world! One of the most photographed rooms in the province, our Reception Hall features truly breathtaking Solar System planets illuminated overhead, and 20 remarkable space pictures from NASA’s Hubble Telescope. The Reception Hall comfortably holds 320 people in a reception setting, or up to 220 for a seated dinner. Need something smaller? Ask about the Celestial Gallery or our classroom rentals. Excellent catering is available for full meals as well as beverage and bar service. Our Reception Hall is available every evening starting at 5:30 p.m. However, its popularity is resulting in more and more of these times being booked, so please make it a point to book at your first opportunity. We look forward to helping make your event truly memorable!